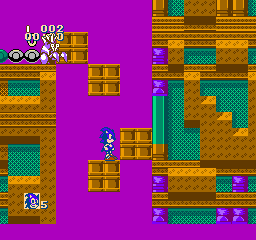 Sonic 3D Blast 5 is basically a hack of Somari, or the other way around. 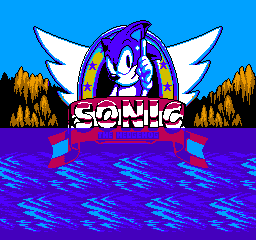 Either way, the character has been changed from Mario to Sonic, and the title screen uses a basic version of the Megadrive title. The level order has also been fiddled with. Somari has the correct Sonic 1 order, but this game starts with Spring Yard Zone. The only thing which have been changed in game is the Sonic character and the Sonic lives icon. Other than that, the game is basically the same. What is Sonic 3D Blast 5?